Riad Barroko i Marrakech, Marokko: Reservér nu! 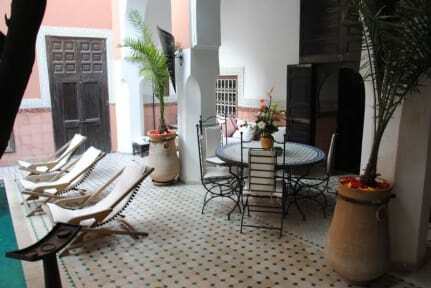 Riad Barroko is an excellent base to explore the city of MARRAKECH. Ideally situated just a few steps from the famous place 'Jamaa El Fna' in bab doukkala‘s district in the heart of the Medina. Marrakesh-Menara Airport is a 15-minute drive away and Marrakesh Train Station is 3 km from the riad.